Sharing unsecured drawings is dangerous because it creates additional thread for your creative works. They can be stolen or modified by unauthorized users. This is highly undesirable when working on important engineering or design projects. 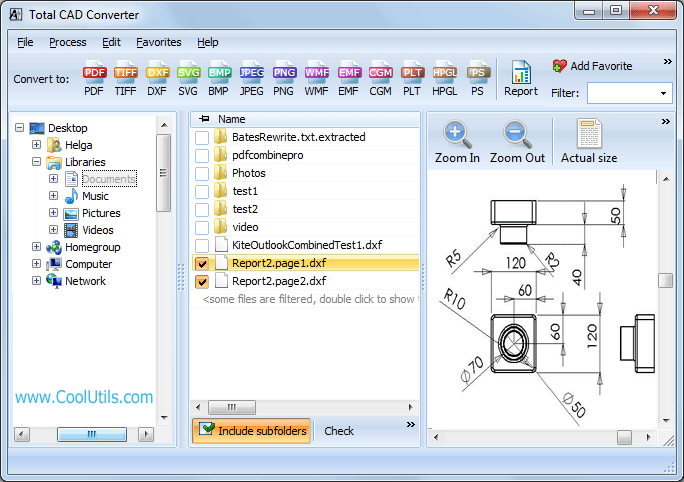 Total CAD Converter offers creating non-editable PDF copies of your drawings. It is a perfect solution for demo purposes - you can share PDF demos without risk of breaking original files. For strengthening security the program provides ability to sign result PDF files with electronic signature. Signed documents are ensured from any unauthorized editing because signature is generated by encrypting the whole file content. If any data is changed, the signature will be wrong, and it may state the fact of unauthorized modification. These items are filled up in the 'Sign' tab of the settings wizard. It is located under the 'Document' inlay. Total CAD Converter supports batch conversion. Conversion and signing are made in one cycle, you spend minimum of your time on all adjustments. Just select the required source files, PDF as tge target format and specify the signature parameters and that's all. Additionally it is possible to add password protection for signed documents. 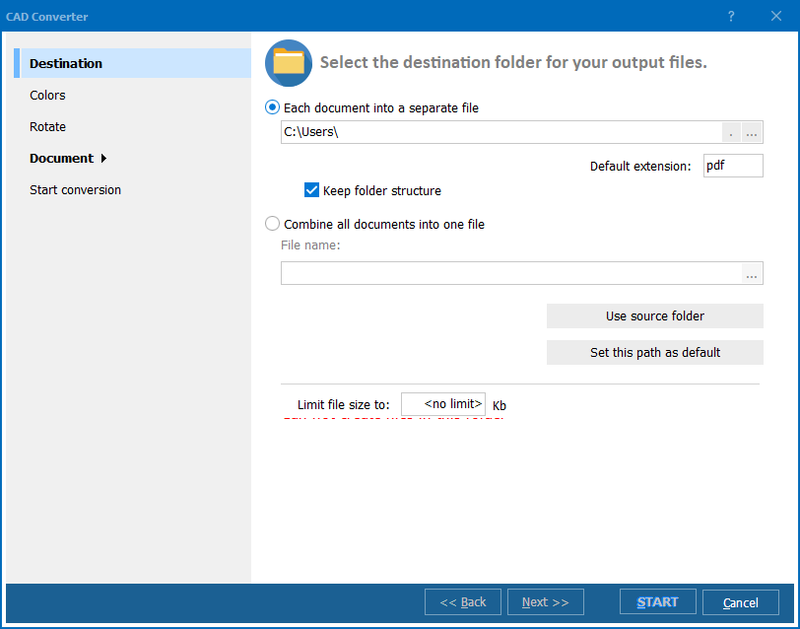 You can limit the action of future PDF copy users by setting specific permissions. If you would like to cut PDF copy in size, apply one of the supported compression algorithms. It is also possible to resize original drawings and rotate them to fit pages better. 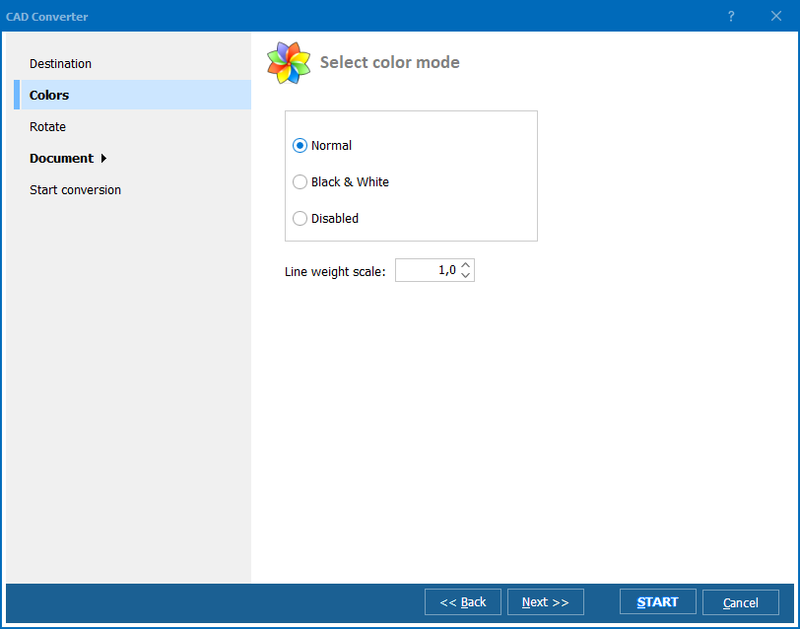 Colors can be removed, and PDF copy will be desaturated. 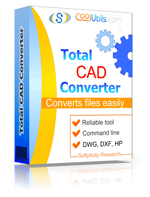 As you see Total CAD Converter is a powerful drawings converter with efficient protection and editing features. You can get your own copy without a registration - a trial version is available for 30 days! Try it!